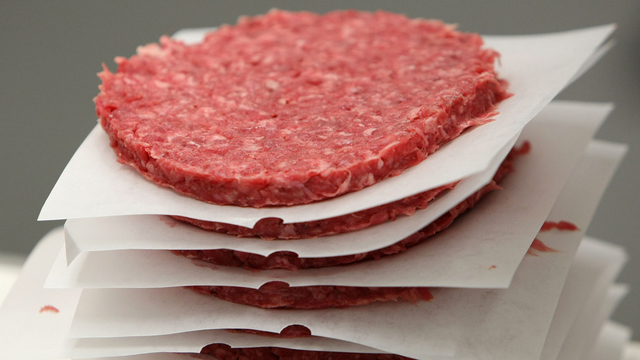 TAMPA, Fla. (WFLA) – Almost 100,000 lbs of ground beef is being recalled over concerns it might be contaminated with E. coli. On Nov. 15, USDA inspectors visited Swift Beef Company in Utah after a ground beef sample tested positive for E. coli. USDA inspectors (FSIS) confirmed that Swift Beef Company was the sole source supplier for the ground beef products. Swift Beef Co. is recalling approximately 99,260 pounds of raw non-intact ground beef products that may be contaminated with E. coli O157:H7 (See labels here). The products subject to recall bear establishment number “EST. 628” inside the USDA mark of inspection. These items were shipped to retail distributors for further processing and food service distributors for institutional use in locations in California, Nevada, Oregon, Utah, and Washington. E. coli O157:H7 is a potentially deadly bacterium that can cause dehydration, bloody diarrhea and abdominal cramps 2–8 days (3–4 days, on average) after exposure the organism. While most people recover within a week, some develop a type of kidney failure called hemolytic uremic syndrome (HUS). This condition can occur among persons of any age but is most common in children under 5-years old and older adults. It is marked by easy bruising, pallor, and decreased urine output. Persons who experience these symptoms should seek emergency medical care immediately. Consumers may call the JBS USA Consumer Hotline at (800) 727-2333.